Library What Are First-Strike Coins And Are They Profitable? What Are First-Strike Coins And Are They Profitable? Coin collectors hear a lot about First Strike coins these days. A First Strike coin, for those who may be unaware, is a piece that is generally claimed to have been among the first coins struck on a die during the early days of that issue’s production. These coins are encapsulated in certified, third-party coin slabs by major coin grading services and bear labels with the words “First Strike.” Also, these coins (almost) always seem to receive a grade of MS-69 or MS-70. First Strike coins are commonly advertised on television home-shopping network ads, which are often viewed by people who have relatively little knowledge of coins. Why is that particular demographic important to those who sell First Strike coins? Because many experienced coin collectors have learned that the term “First Strike” is often a marketing ploy used by some retailers to make a coin sound special. Yes, the first coins to roll of the presses for a given series or during a certain year are certainly important, but what many people don’t know is that most “First Strike” coins aren’t actually first strikes, nor are they necessarily even guaranteed to have been made on new dies. According to the U.S. Mint’s website (http://www.usmint.gov) , the Mint does not “track the order in which we mint such coins during their production.” In other words, it’s virtually impossible to know which coins were among the first minted on any given set of dies. Just the same, the Mint does not always ship coins for distribution just as soon as they are minted. In fact, according to the U.S. Mint, by the release dates for the 2005 and 2006 gold Buffalo coins, which were heavily promoted in the secondary market, about half of the entire production of those pieces had been minted. While some retailers suggest that First Strike coins exhibit nicer surfaces than coins struck from older dies, the reality is that there isn’t an industry-wide definition or standard for distinguishing a First Strike coin from any other coins. The Professional Coin Grading Service (PCGS) (http://www.pcgs.com/) and Numismatic Guaranty Corporation (NGC) (https://www.ngccoin.com/) recognize First Strike status on their coin slabs. However, their definition of First Strike has less to do with how soon the coin was made, and rather focuses on when the coins were shipped from the Mint. 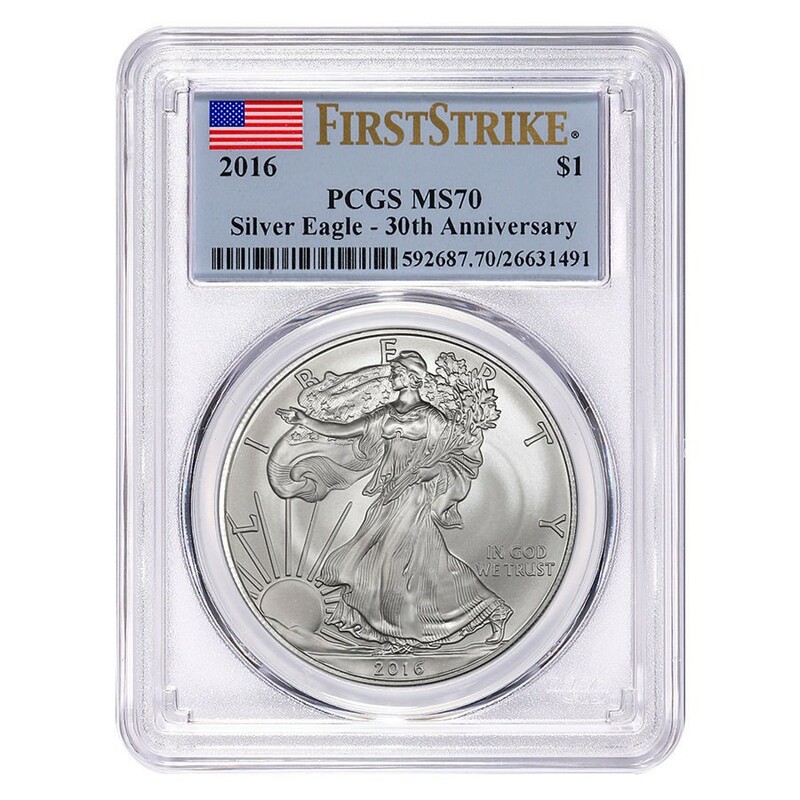 NGC’s stance: Coins eligible for First Strike designation must be shipped within the first month of release. PCGS’s position: First Strike coins must have been received within 30 days of commencement of shipping or have documentation proving that said coins were shipped within 30 days of that coin’s production. However the matter is examined, those who buy First Strike coins need to consider if what they’re buying is really worth their money. Remember this – many items that are considered rare collectibles today weren’t originally advertised as anything special.